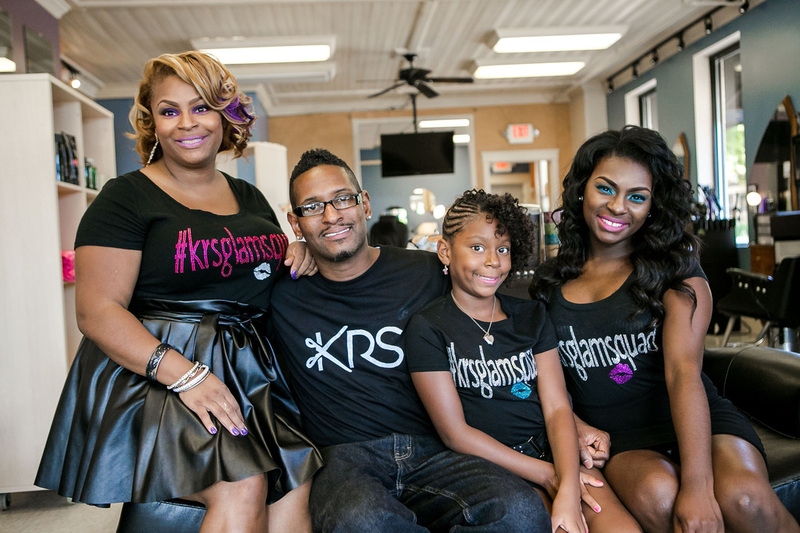 KRS Hair & Wax Studio is an energetic and professional, full service salon, which specializes in hair care for all textures and ethnicities. We are known for our expertise in natural hair care, incredible hair extensions, precise cuts, creative color and luxurious lash extensions. Additionally, our Aesthetician is ranked by the WISN 12 A-List as one of the top three Waxers in the City of Milwaukee. With a focus on impeccable guest services and cultural diversity, we are Milwaukee's premier full service salon. We are pleased to offer our guests the very best salon exclusive products such as Paul Mitchell, Mizani, Goldwell, Oya, Enjoy, Skin Scripts and Butterscotch Baby Total Body Experience. While we are thoroughly impressed with all of our product lines, we are especially proud to feature Butterscotch Baby TBE, a hand-crafted, organic hair, skin & body care line, made locally by a female-owned business. For more info, please visit their website at http://www.butterscotchbaby.net/ or their Facebook page @https://www.facebook.com/butterscotchbb/about/.